Volume 6 pre-orders now available! 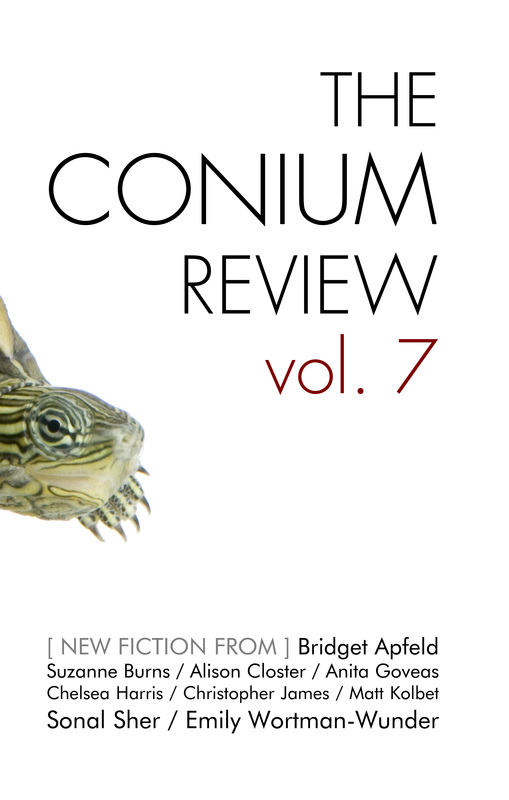 The Conium Review: Vol. 6 is now available for pre-order. We expect to ship in mid-December. 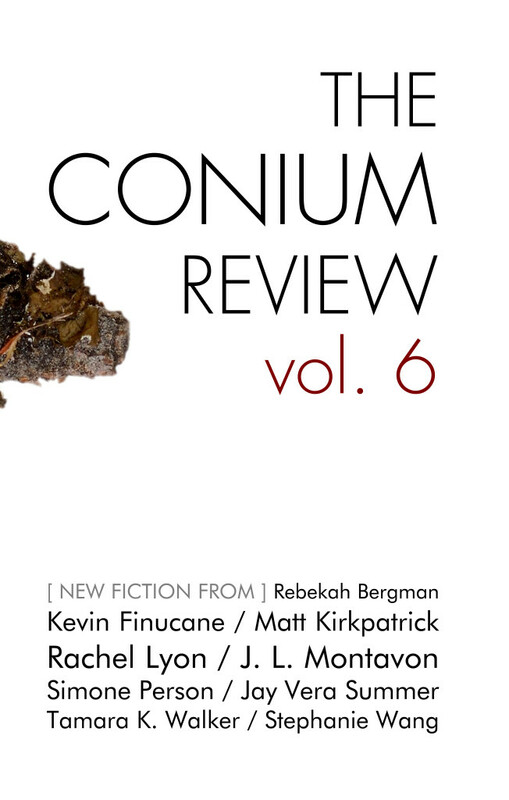 This volume of The Conium Review features nine new stories from Tamara K. Walker, Jay Vera Summer, Matt Kirkpatrick, Rebekah Bergman, Kevin Finucane, Stephanie Wang, Simone Person, Rachel Lyon, and J. L. Montavon. Readers will experience ghost detector apps, a sentient chalkboard, trippy art museum visits, and more. Throughout this volume, inventive prose, dark satire, and compelling characters abound. We’re still processing final copy edits and completing the layout, so page count is still up in the air, but it’ll be a similar length to other recent issues (around 100-ish). As usual, we have a wrap-around cover with just a hint of the main image peaking out. On back, there is a large tree stump gracing the volume. Matthew Kirkpatrick is the author of Diary of a Pennsylvania Farmer (Throwback Books, forthcoming), The Exiles (Ricochet Editions), and Light Without Heat (FC2). His fiction and essays have appeared in The Rumpus, The Common, Puerto del Sol, Denver Quarterly, Believer Logger, Notre Dame Review, and elsewhere. His audio collage and hypertext, “The Silent Numbers” is anthologized in the Electronic Literature Collection, Volume 3, and was part of the “Shapeshifting Texts” exhibit at the University of Bremen. He is an assistant professor at Eastern Michigan University where he teaches fiction and new media writing. Rebekah Bergman’s fiction has been published or is forthcoming in Hobart, Joyland, Passages North, Poor Claudia, Two Serious Ladies, and The Nashville Review, among other journals. She holds an MFA from The New School and is a contributing editor of NOON. Stephanie Wang is a Beijing-born Australian writer currently living in Melbourne. She can travel in time, but only in one direction. She is currently working on a novel. Simone Person grew up in small Michigan towns and Toledo, Ohio. She is a dual MFA/MA in Fiction and African American and African Diaspora Studies at Indiana University. Her work has appeared in Queen Mob’s Teahouse and Puerto del Sol, among others, and has been anthologized in Crab Fat Magazine: Best of Year Three. Her chapbook is a semifinalist selection for Honeysuckle Press’s 2017 Chapbook Contest. She occasionally uses Twitter and Instagram at @princxporkchop. Rachel Lyon‘s debut novel Self-Portrait with Boy is forthcoming from Scribner in February 2018. 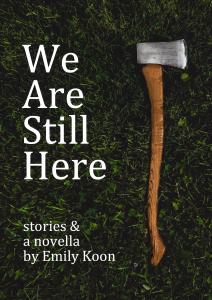 Her short work has appeared in Joyland, Iowa Review, McSweeney’s, and other publications. Rachel teaches for Sackett Street Writers Workshop, Catapult, and elsewhere and is a cofounder of the reading series Ditmas Lit in her native Brooklyn. Visit her at www.rachellyon.work. J. L. Montavon was born and raised in Denver and lives in San Francisco. Her story “Recursions” was chosen by Joan Wickersham as the winner of the 2016 Salamander Fiction Prize.